These Center Cut Loin Pork Chops boast our exquisite corn cob smoked flavor to make them uncommonly delicious. Fully cooked and trimmed to just the right thickness. For a real treat, try them hot off the grill with a leafy green salad and applesauce on the side. 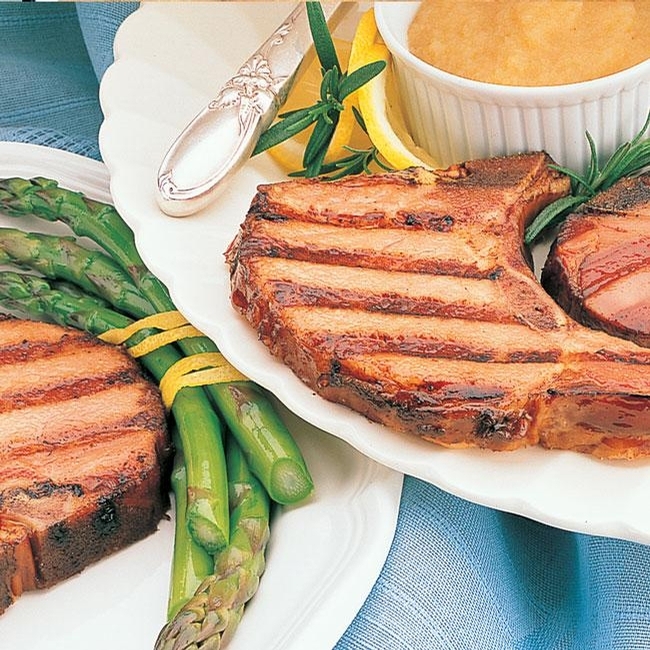 Windsor Loin Pork Chops, 2 - 2 1/2 lbs. Windsor Loin Pork Chops, 4 - 5 lbs.